Whew! I can't believe it's Monday already. Time is just flying by, and I am ready for it to slow down a little. Unfortunately a glance at my calendar quickly shows that slowing down does not appear to be anywhere in sight. Maybe I need to chalk out a few hours on the calendar for some down time, but from the looks of it I probably couldn't even get that in until mid-August. Oh well, at least we are all healthy, and I am blessed with a job that provides us with a paycheck every week so that we can stay busy. With our busy week this week my menu plan is going to be pretty simple. Again, I am not scheduling meals on the weekend because we are just not going to be home to eat them, and even Tuesday night between after school tutoring, baseball and softball practices it looks like dinner out is in order. For quite a while now I have known I have needed to lose some weight, not just a pound or two but sixty-one pounds. Do you know how overwhelming it is to try to lose sixty-one pounds? It seems like an insurmountable task. With such a long journey ahead of me I know I will need support along the way. That is why I have decided to join Denise'sFit Mommy Friday Meme at Got Chai? and this will be my first Fit Mommy Friday post! 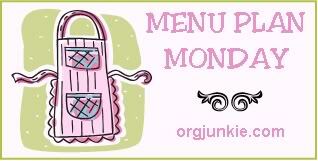 Join us for Menu Plan Monday atI'm an Organizing Junkie. Last week was another busy week for us but I am proud to announce that we only missed one meal last week, and that was only because we had an unexpected softball practice that caused us not to be home. OurSlow Cooker Corned Beef and Cabbageand Ham and Potato Casserole were both as awesome as always. However my Slow Cooker Italian Sausage Vegetable Soup that I was experimenting with was an utter disaster. However, thanks to a freezer full of quick fixes I was able to still pull supper off. So needless to say I will not be posting the recipe for it. With warmer weather on the horizon, we will not be spending much time at home on the weekends, so I will not be planning dinners for Saturdays and Sundays. 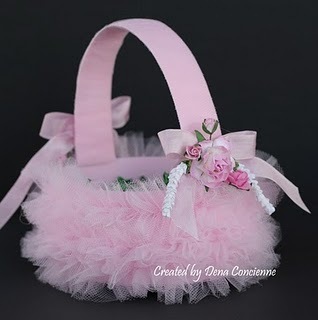 Yes, I know that Saint Patricks Day was just yesterday but my mind is already racing ahead to Easter. Part of the reason my mind is already thinking Easter is due to the fact that with a little help from CVS and their great sales over the past few weeks I already have a ton of candy socked away for the Easter Bunny to use when he fills Easter baskets. 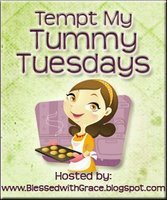 Edited to add: Tina at Mom's Crazy Cooking has invited me to link this post to her This Week's Cravings Linky Party. This week's theme is Go Green for Saint Patrick's Day, so be sure to check out her blog for some great "green" recipes. Thanks Tina for letting me join! I didn't grow up eating Corned Beef and Cabbage. As a matter of fact I grew up detesting cabbage, there was no way I was ever going to eat it. To me it looked awful, smelled awful, and there was just no way I was ever going to eat. Then I met my husband. He loves Corned Beef and Cabbage. He made me try it. Guess what I liked it. Actually, it's one of my favorite foods now. However, we don't eat it very often. We traditionally have it twice a year, on New Years Day and on Saint Patricks Day. We may have it scattered in between here and there through out the year but not too often. Last week was a pretty good week for us. I was grateful to have my Menu Plan back, and as we start softball and baseball practices this week I know it will prove to be even more beneficial. I tried to go without a menu plan last week. Needless to say it didn't go to well. Actually, it was awful. 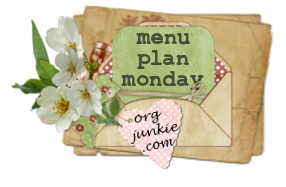 I am so glad to have a menu plan for this week. Everytime I try to skip formally making out a menu plan it comes back to haunt me.